Fish are everywhere! They can be found worldwide from the smallest freshwater babbling brooks, to the deepest and darkest reaches of saltwater oceans. They inspire us with their beauty and amaze us with their various shapes, sizes and colorations. 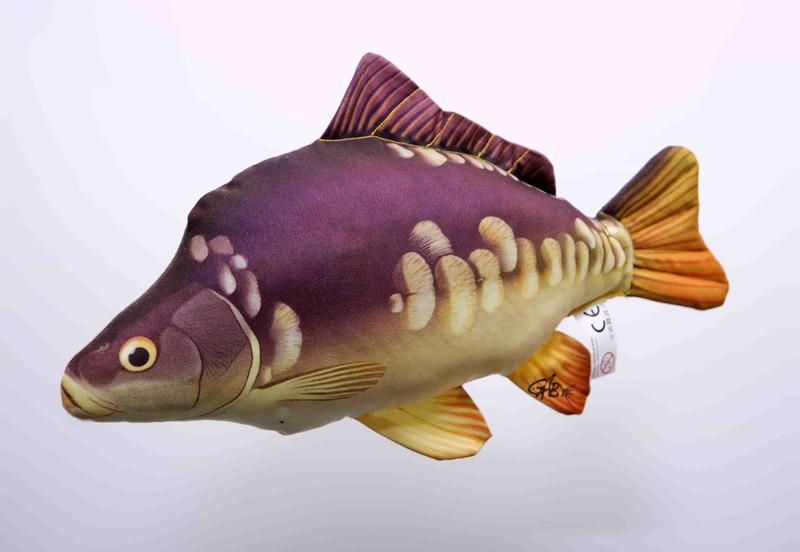 Our offering of freshwater species gives a unique look into the common and not so common inhabitants of the world’s freshwater streams, lakes and rivers. Discover how unqiue the waters around us really are with GABY’s Freshwater Collection! The European Sturgeon is a prehistoric fish of the sturgeon family. It is a catadromous euryhaline fish, meaning it lives in both fresh and saltwater. In Europe it is present along the Atlantic coastline, from Spain to Norway and sparsely in the Mediterranean and Black Seas. This species reaches impressive sizes and can surpass 4 meters in length and 300kg in weight. 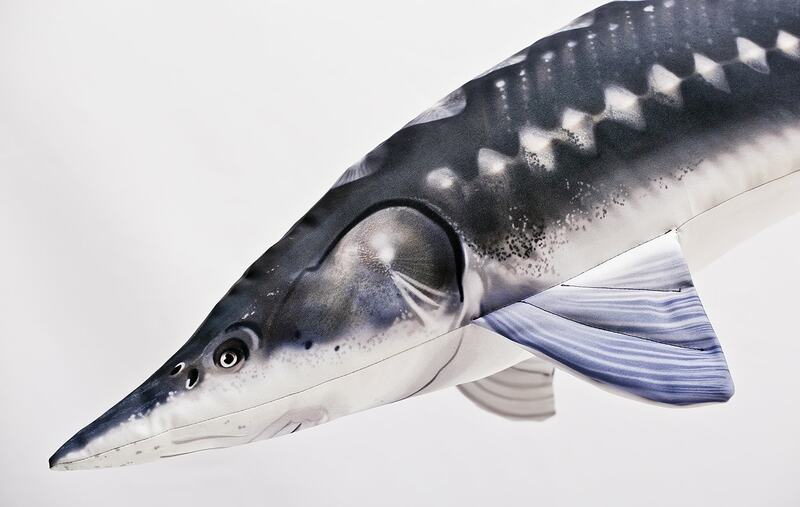 Sturgeon are covered in characteristic bony plates or „scutes” in rows on the back, sides and belly and has sensitive barbels near the mouth which it uses to localize food. It feeds mainly on crustaceans and mollusks. It is a critically endangered species along with other members of its family. Several countries have started conservation and reintroduction projects to help stabilize the species’ populations. 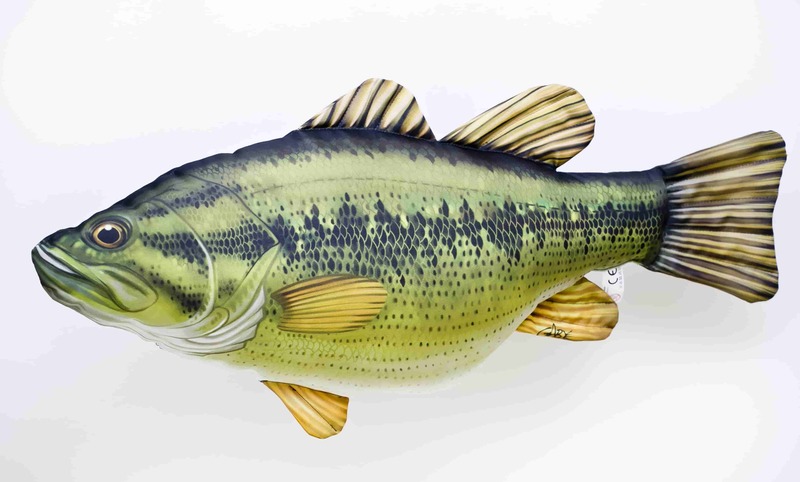 The Largemouth Bass is a predatory fish of the Centrachidae family. 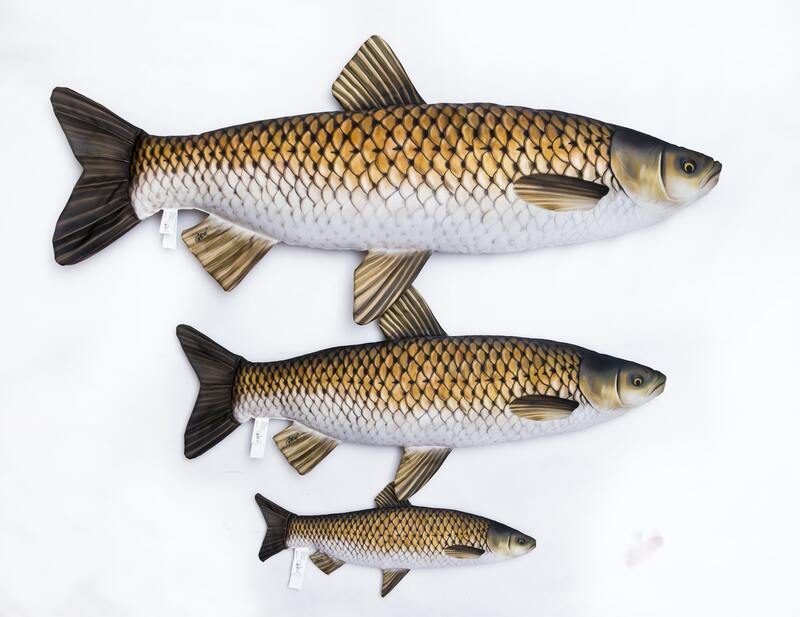 Growing to some 25lbs and endemic to North America, it is found in most lowland rivers and lakes from Canada to Florida, with large populations concentrated in states as California and Texas as well as in Mexico. The species was introduced to Europe in the 19th century and now inhabits central and southern Europe. Its preferred habitats are warm waters with heavy cover as sunken trees, vegetation and weeds, shoals and rocks. 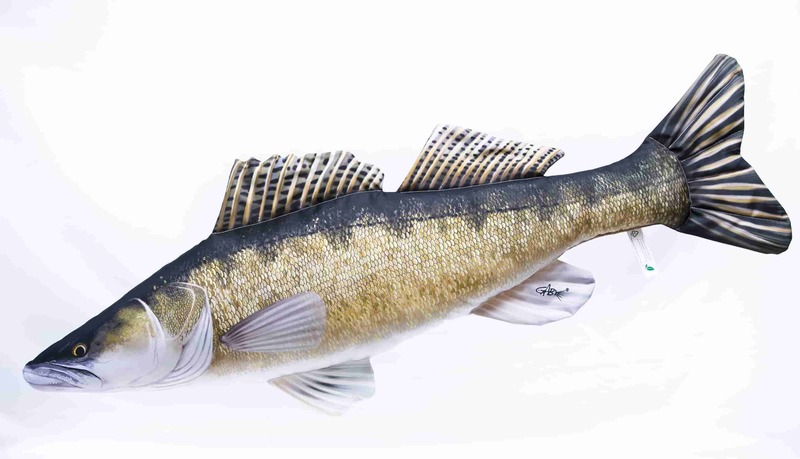 As most bass, it feeds on small fish, crayfish, frogs and insect larvae. During feeding, young bass form packs and hunt together. 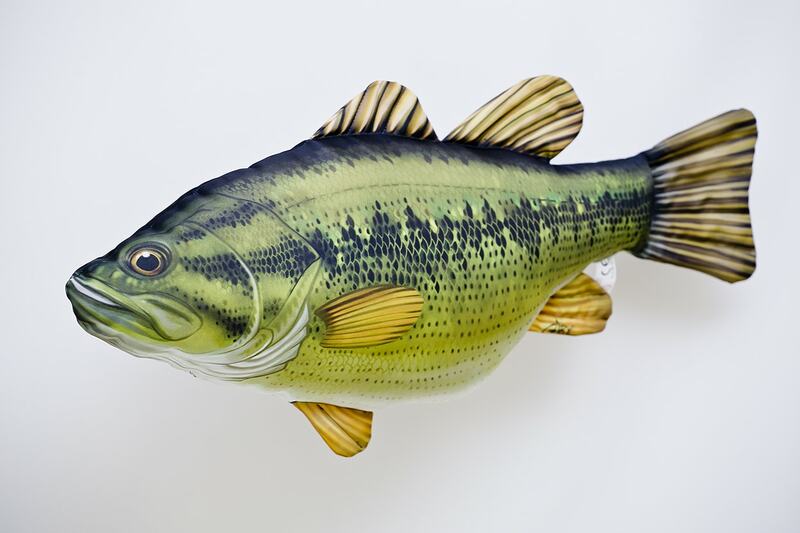 The Largemouth Bass is a valued sport fish, known for its explosive energy and acrobatics once hooked. 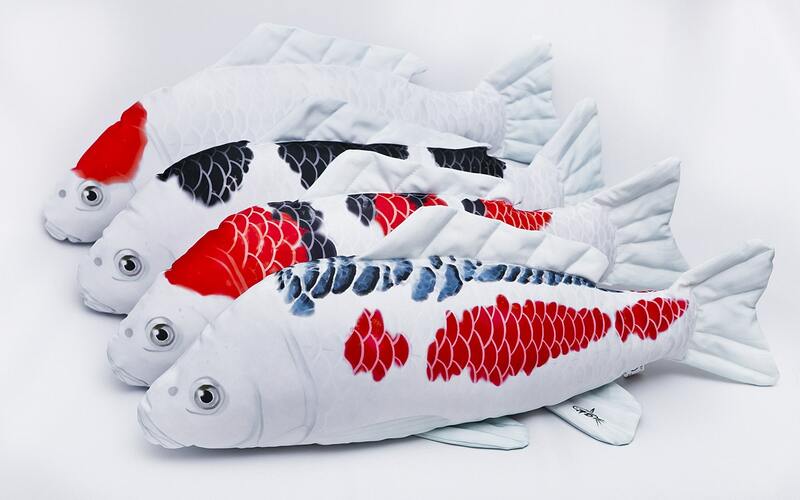 Koi Carp ((錦鯉 nishikigoi ) are a domesticated and genetically selected form of the Common Carp (Cyprinus Carpio). 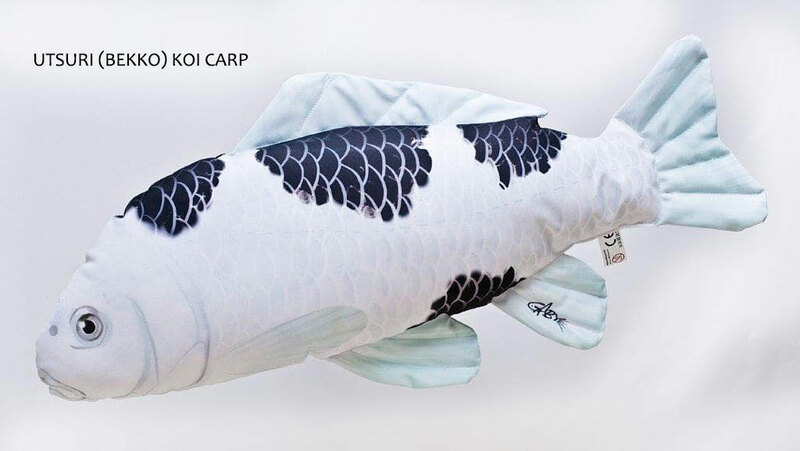 Hailing from Japan, koi were first bred in the 1820’s in the town of Ojiya. 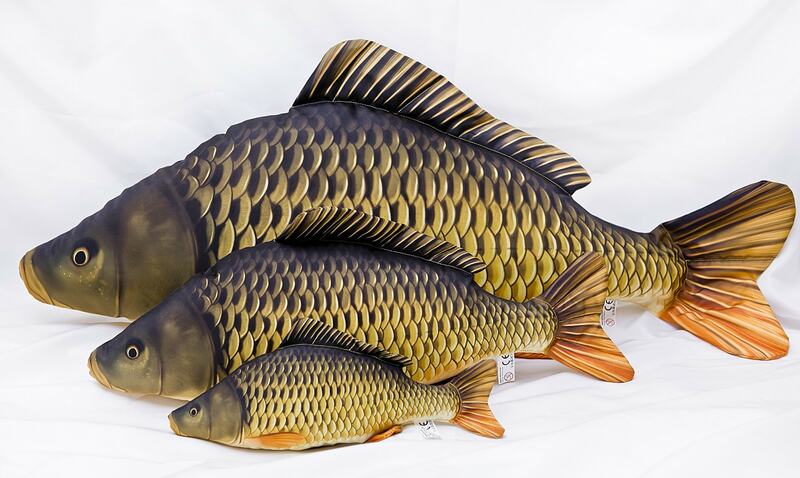 Koi carp sport characteristic coloration that make them a popular pond and decorative fish. 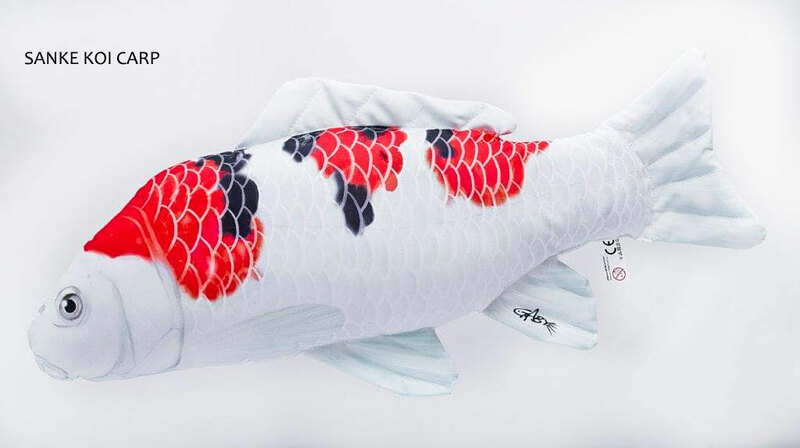 There are more than 120 different types of Koi worldwide, varying in color and shape. Of these, the most popular varieties are the Tancho, Shusui, Asagi, Sanke and Utsuri. 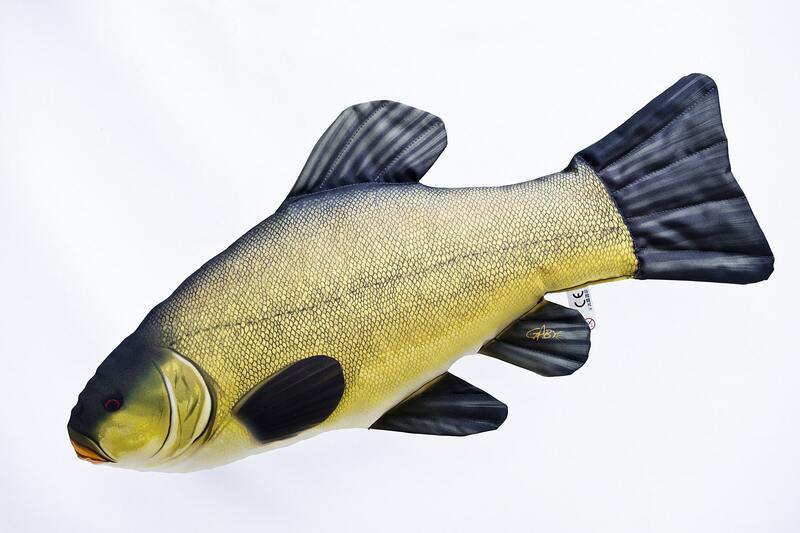 The tench (or doctor fish) is a member of carp family (Cyprinidae) and inhabits the majority of Europe including the British Isles. Its prime habitats are slow flowing warm rivers and lakes with abundant vegetation. 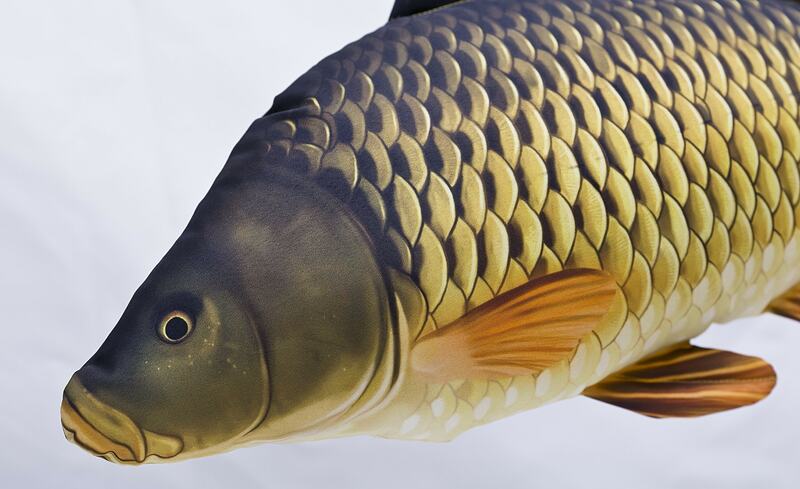 In optimal conditions, it can reach 70cm in length and weigh around 7kg. 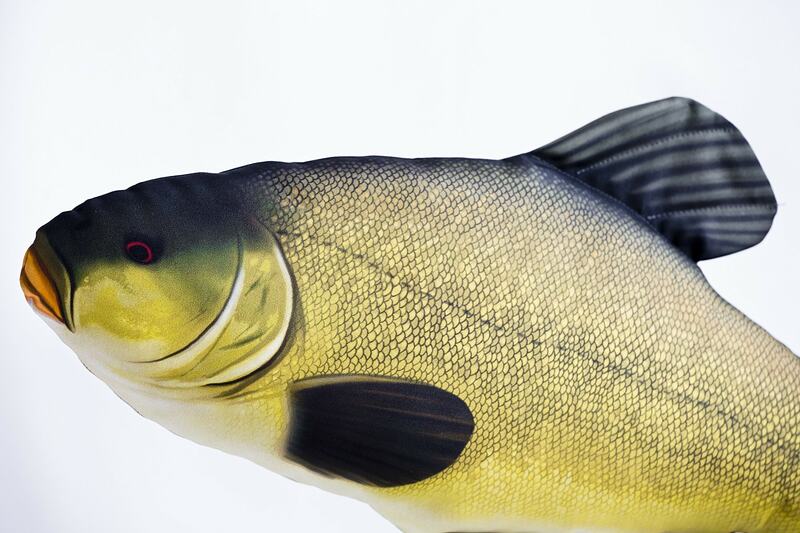 Tench have a characteristic stocky build and rather large fins. It feeds mainly on invertibrates found on the bottom of waterbodies. They are considered one of the most beautiful representative species of its family. The grayling is a beautiful species native to central and northern Europe. It is characterized by a prominent and lively coloured dorsal fin. 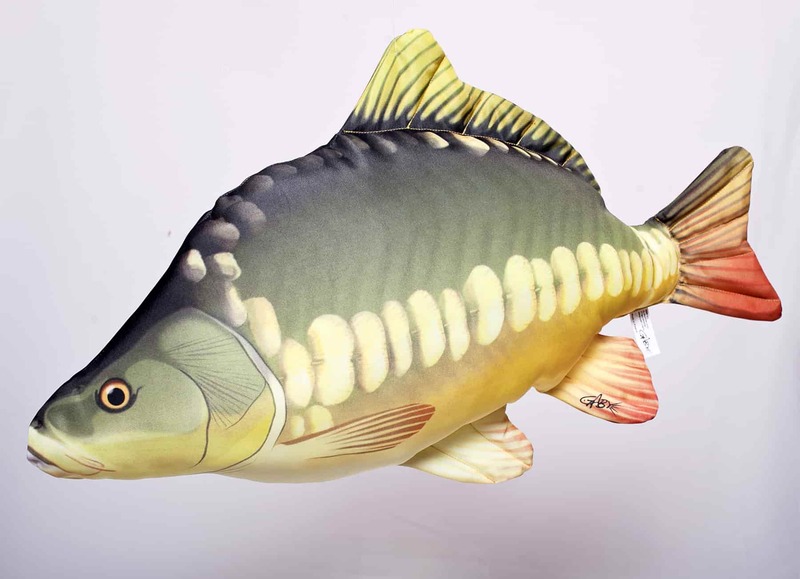 It lives in cold, well oxygenated waters and can be found mainly in rivers. Grayling feed on insects, invertebrates and occasionally small fish. 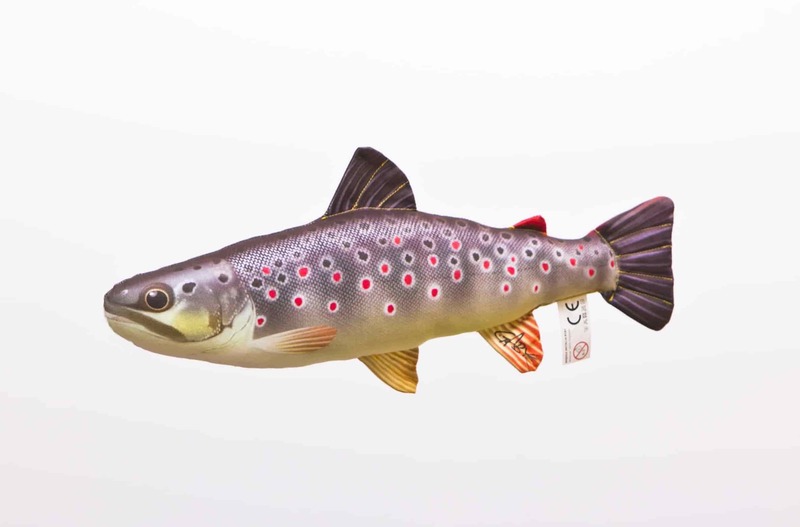 The species is emblematic of European fly fishing. It is, however, a very delicate fish and quite perceptive to climate and environmental changes. 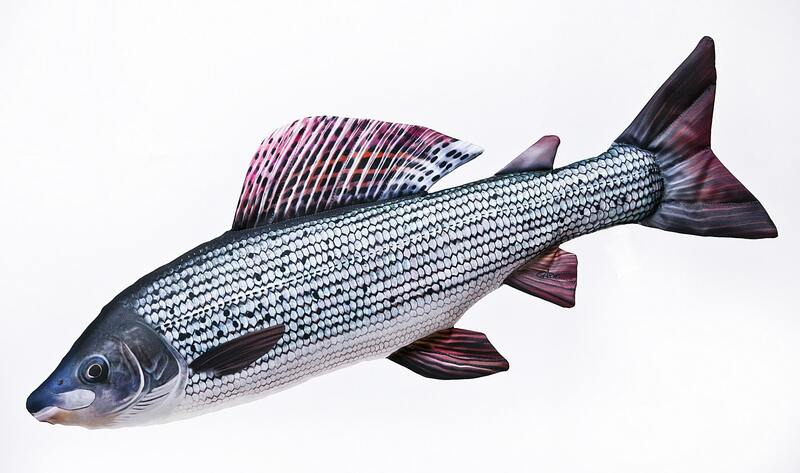 These environmental change are a large factor in the dwindling of grayling populations across the continent. 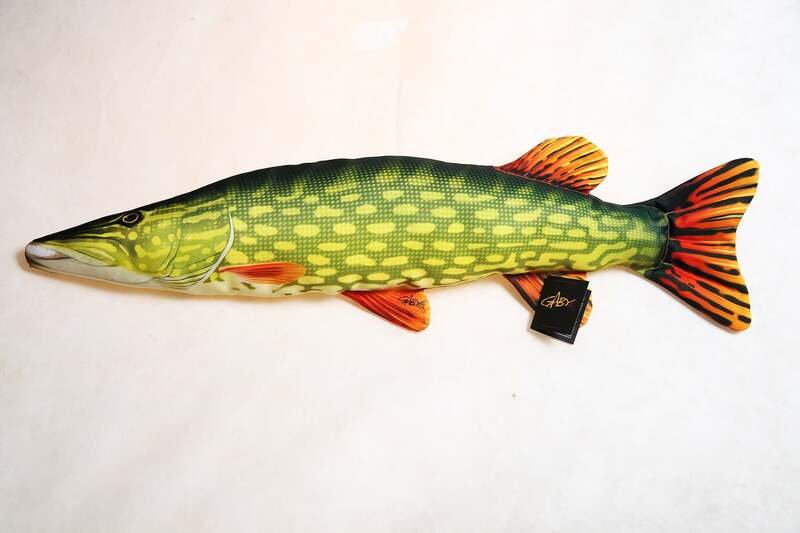 The Northern Pike is a species of carnivorous fish of the genus Esox (the pike family, along with musky and North American pickerel). It inhabits almost every freshwater in the world and some coastal areas of seas. It exhibits the typical features of an ambush predator; a long body shape and camouflage colouring. 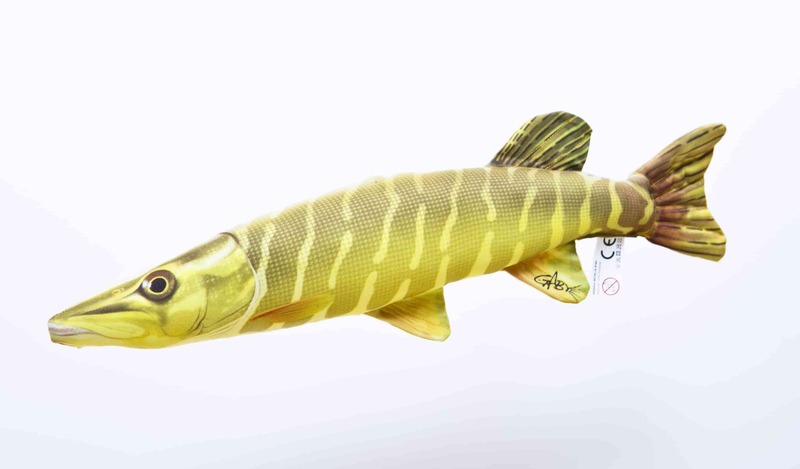 The Pike feeds mainly on fish and small aquatic animals and birds. 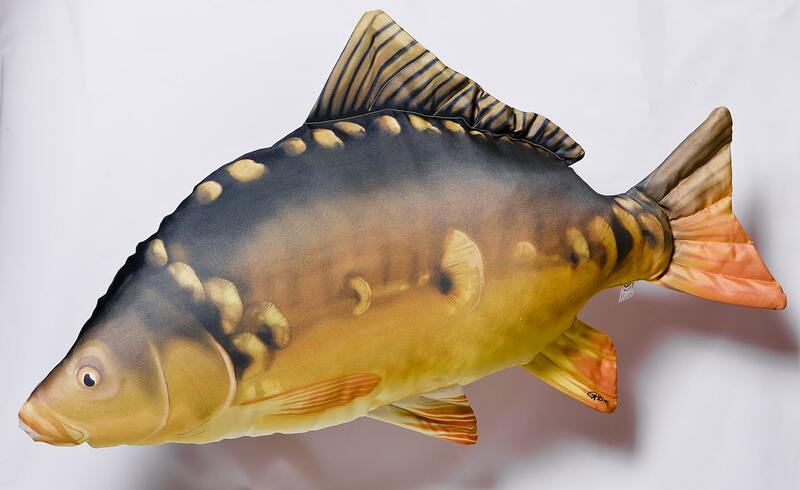 It is very sporting and highly sought after fish knows for its extravagant lunges and jumps. It is, nonetheless, a very sensitive species and reacts negatively to changes in the environment. The Brown Trout (salmo trutta morpha fario ) is a species of salmonid. Its natural habitat is cold and fresh water. It originally inhabited almost all of Europe and was present in small numbers in Asia. It has, however, has been introduced to every continent except Antarctica. 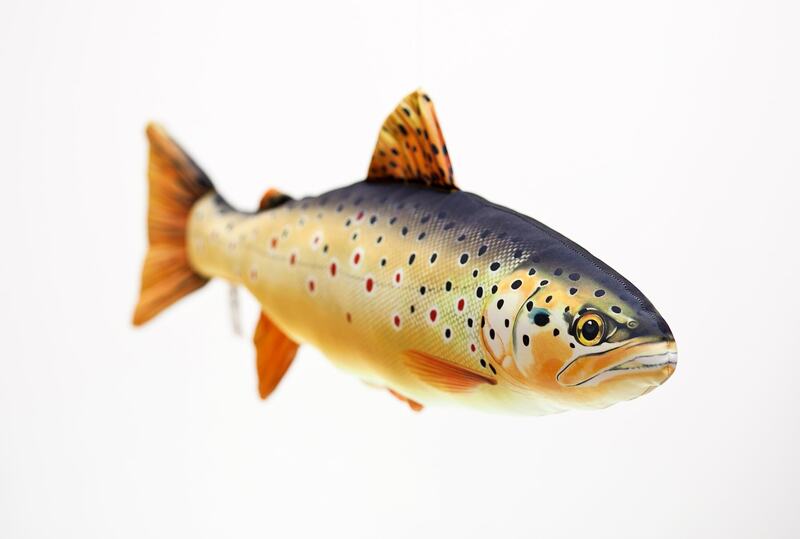 The colouring of the Brown Trout varies considerably depending on its surrounding, but in general, it has black and red spots against a yellow-white or yellowish body colour. 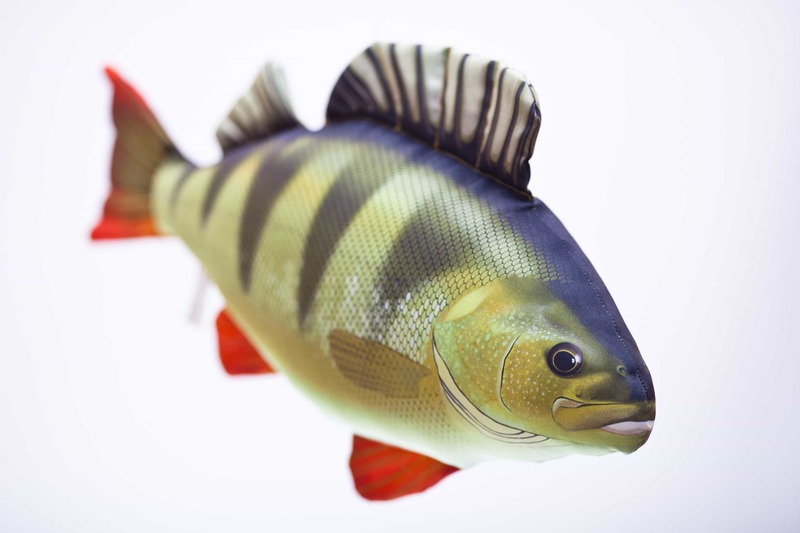 As a predatory fish, it feeds on small water animals, insects and small fish. 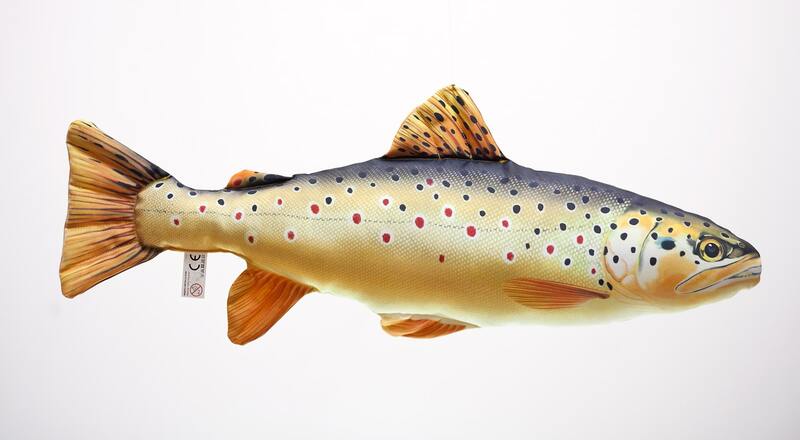 Recent years have seen a drastic decline in Brown Trout populations. Causes have been manifold but underline the species’ vulnerability. Conservation of natural and original habitats, along with assistance in natural reproduction of this species could be its only rescue. 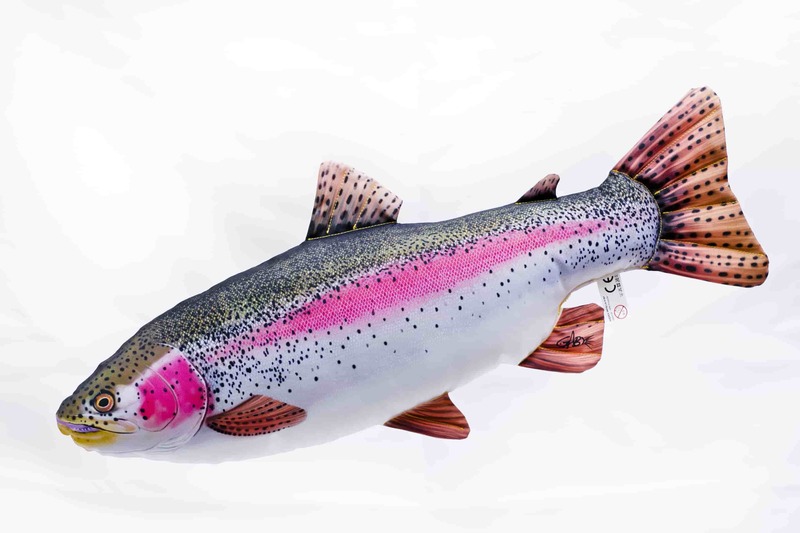 The Rainbow Trout (oncorhynchus mykiss) originates from North America. 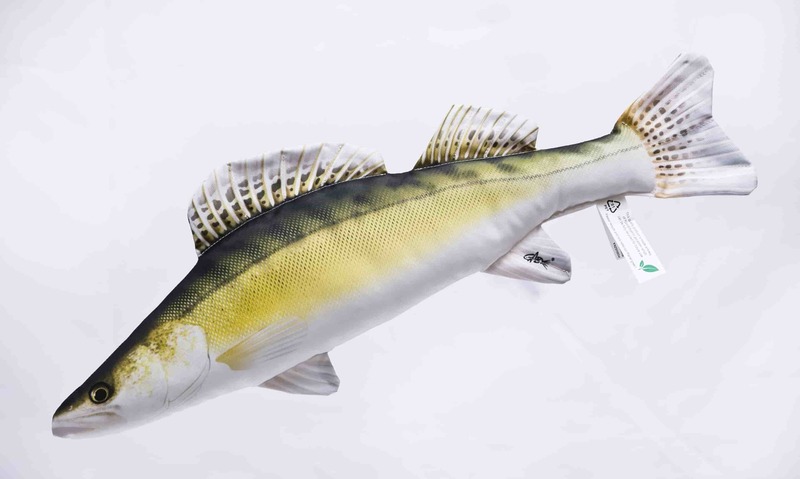 However, thanks to its high status in cuisine and angling, it has been introduced to many areas around the world. The most characteristic feature is its colouring, comprising of numerous spots against a bright ‘rainbow’ stripe which runs the length of the body and from which the species derives its name. 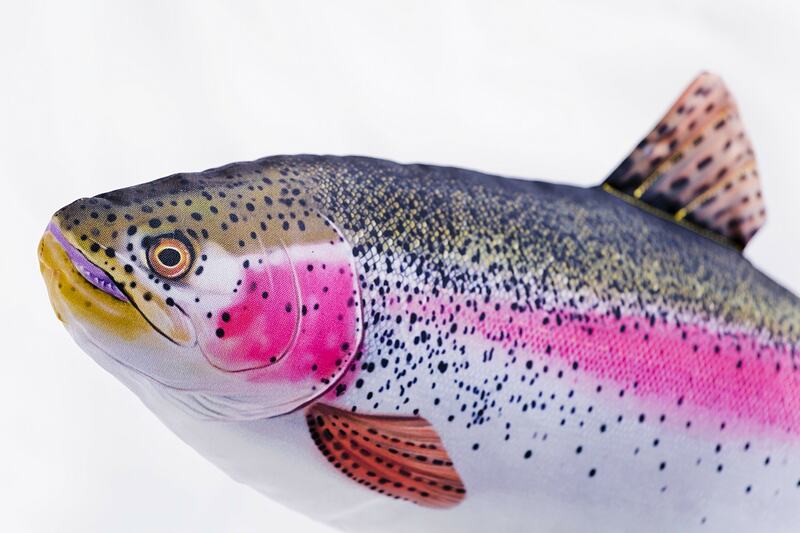 Without doubt,the Rainbow Trout is one of the most beautiful and most sporting fish targetted by today’s anglers. 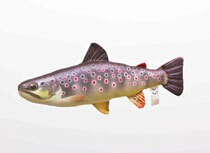 Like other trouts it feeds on small water animals, insects and small fish. It is also a species which adapts very easily to new environments. 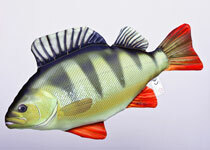 The Common Perch is a popular species of the genus Perca (the perches). It inhabits most Europe waters and is present in parts of Asia. It has also been successfully introduced into Australian reservoirs. 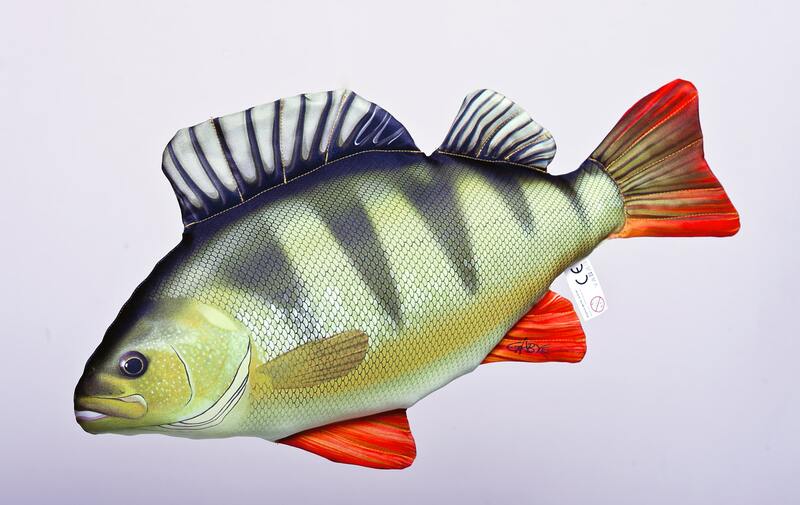 The Perch distinguishes itself by its beautiful coloring of characteristic dark veritcal stripes on the body, bright red fins and dorsal fin with spines. Juvenile perches feed mainly on plankton, invertebrates and fish roe while older specimens become typical predators, often hunting in packs for small fish. 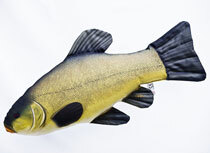 It is a very highly sought after fish by anglers and puts up quite a fight. 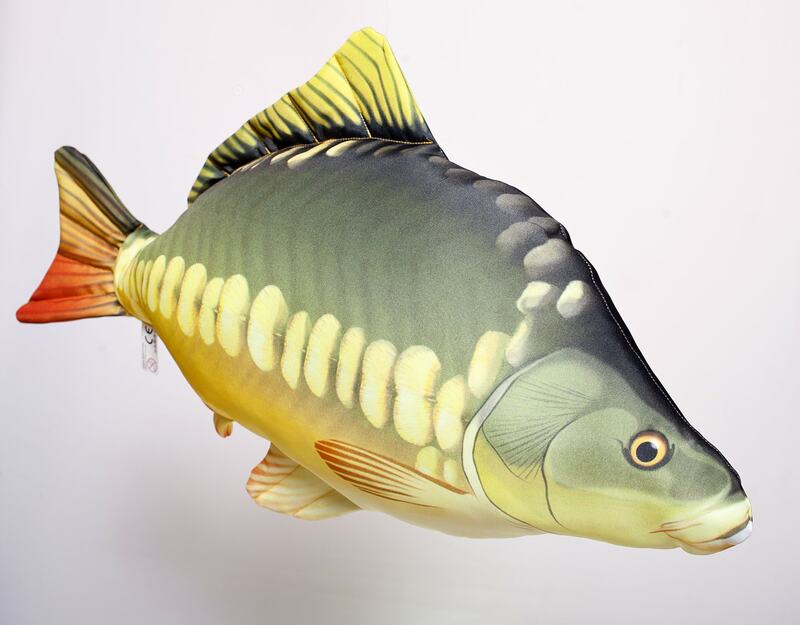 It’s a very popular fish of the carp species. Originally it has inhabited the catchment area of the Caspian, the Aral and the Black Seas. 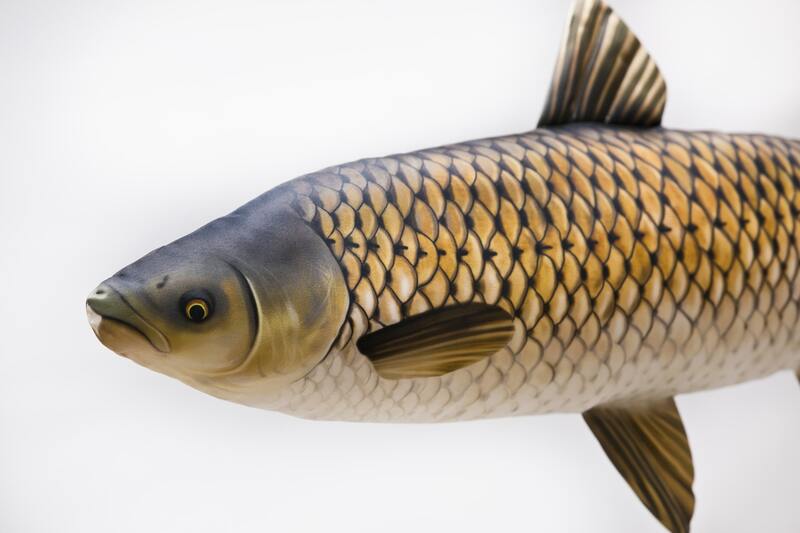 The Carp has become a famous breeding sh after its domestication in China in 5th century b.C. The Carp has gained a lot of variations, from full-scaled species to species without any scales. It prefers calm and warm waters. It feeds insects’ larvas, molluscs and shellsh. 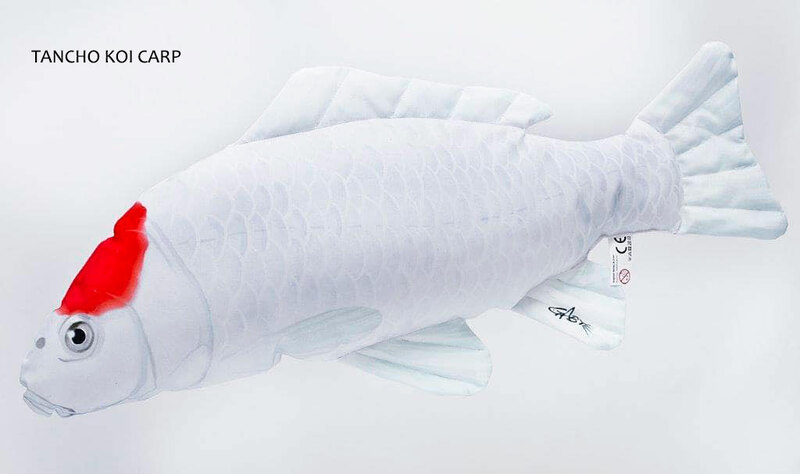 Recently the Carp has become an icon of sport shing because of its bravery and strength. 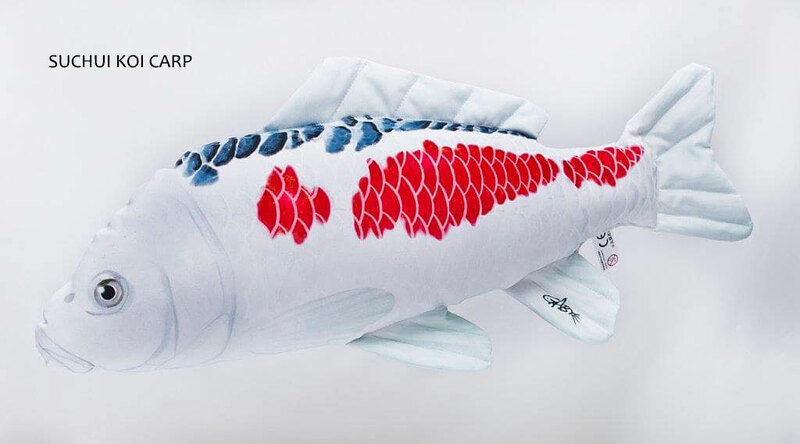 The Carp enjoys popularity among the anglers from all over the world. 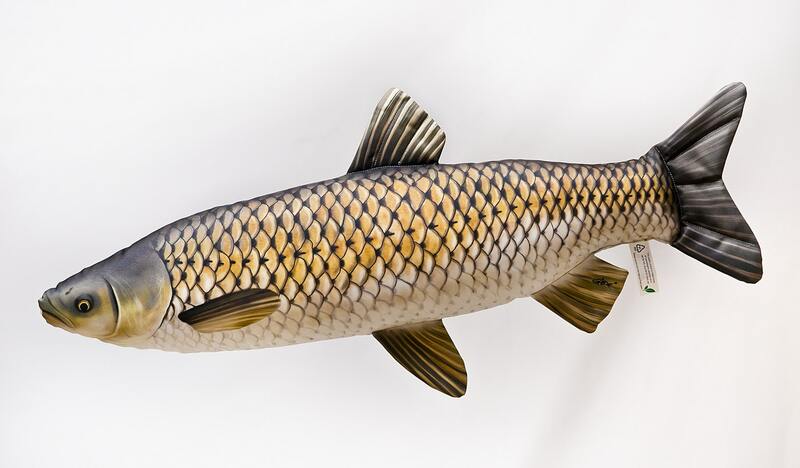 The Amur or Grass Carp (Ctenopharyngodon idella) is a large member of the carp family. 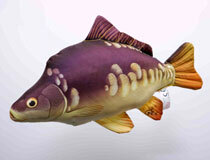 It is native to the waters of China and the Amur river basin. Growing to a maximum of 1,5m in length, the species prefers warm slow flowing waters or lakes. It feeds mainly on aquatic vegetation. It was introduced to Europe in the middle of the 20th century, where it adapted very well. 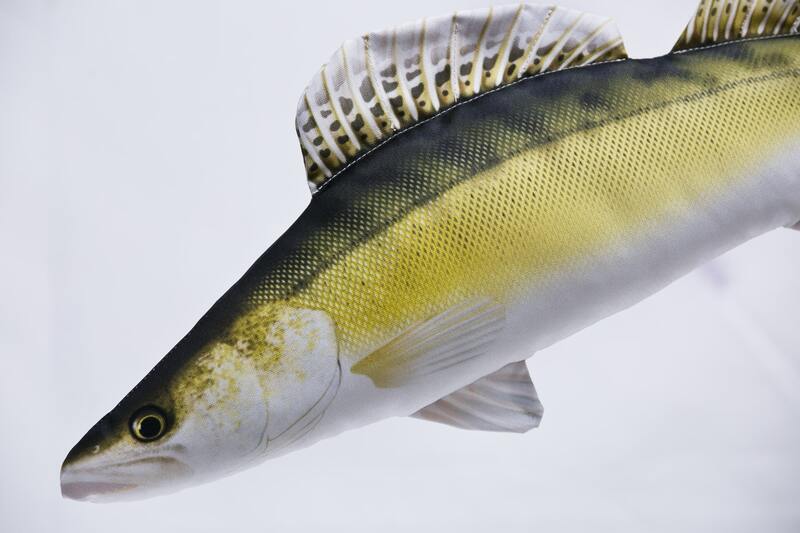 It is a very hearty, strong and streamlined fish, making it popular amongst fish farmers and anglers alike. 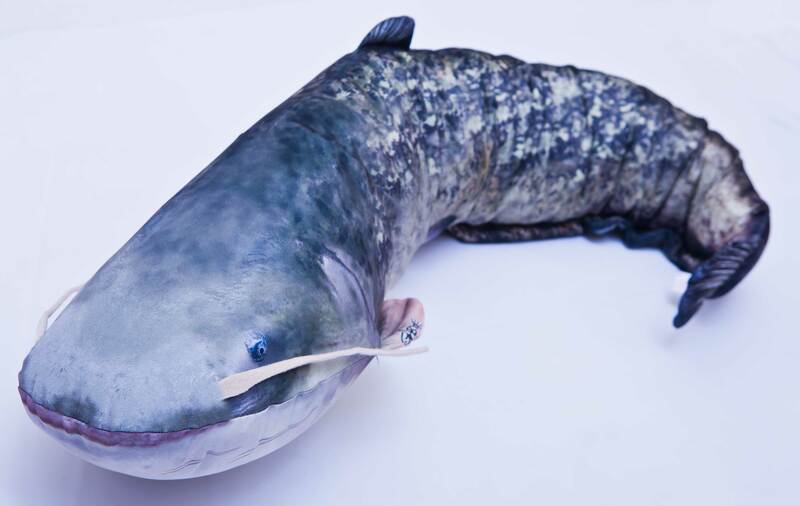 A member of the catfish family, the Wels is the largest freshwater predatory fish in Europe. It’s prime habitat are warm, slow- flowing waters in central, southern and eastern Europe and is present in brackish waters of the basins of the Baltic, Caspian and Black Seas. A true giant, it can reach more than two meters in length and can weigh more than 100kg. The Wels is a mostly nocturnal fish, feeding primarily on fish and other live prey. 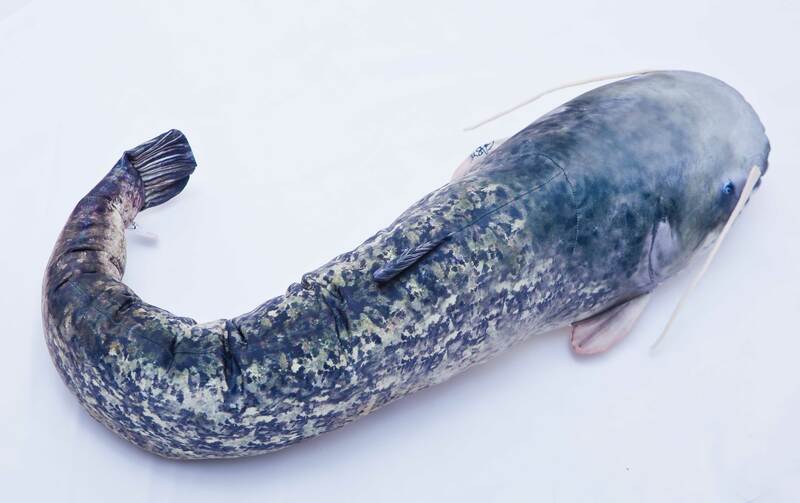 The species has a specific body shape, smooth skin and long “whiskers” or barbels which are used to locate food. 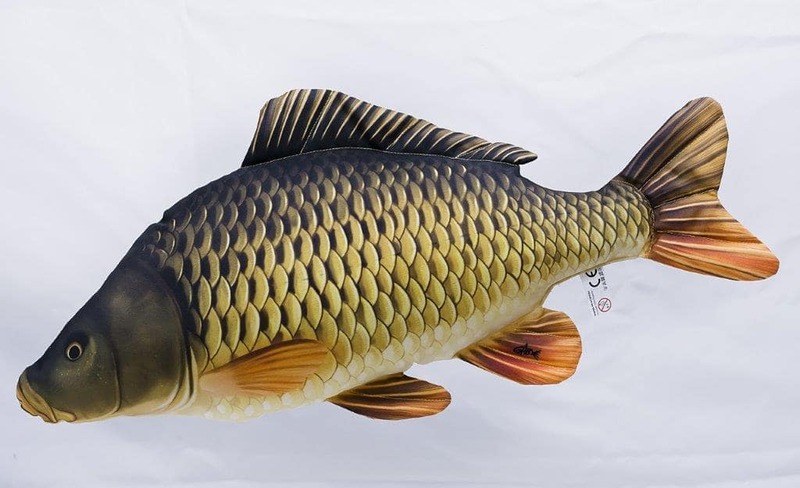 It is a popular gamefish, renowned for its cunning and strength. 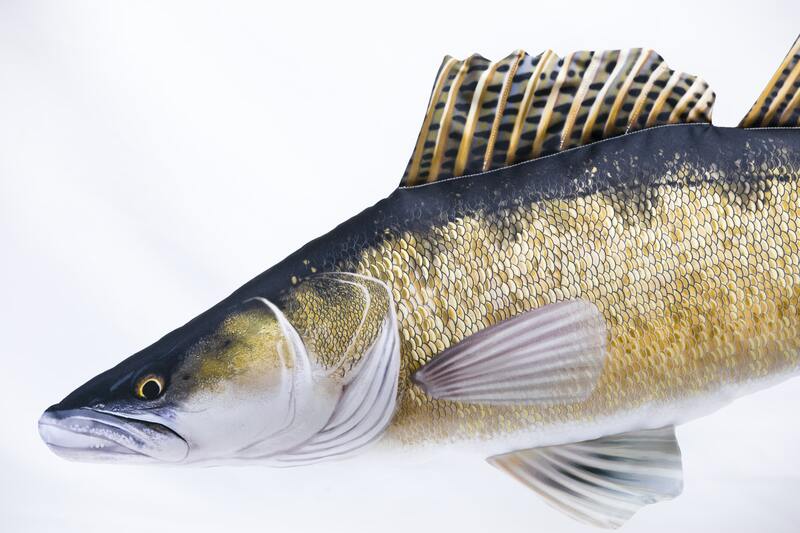 The Zander is a member of the perch family. The geographical range of this fish is Europe from the Rhine basin to the Caspian Sea. It inhabits all kinds of waters with the exception of fast-flowing mountain streams. It feels the best in deep lakes, reservoirs and large lowland rivers. The shape, coloration, as well as its mode of life show all the characteristics of a perfect predator. 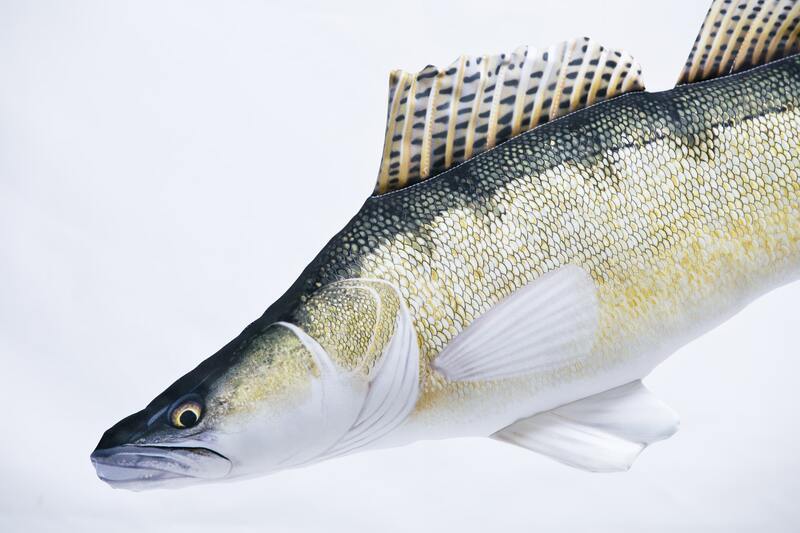 An important part of the lives of these fish is spawning period; the Zander builds the so-called nests where the roe is made and protected by the Zander males until the brood of juveniles. 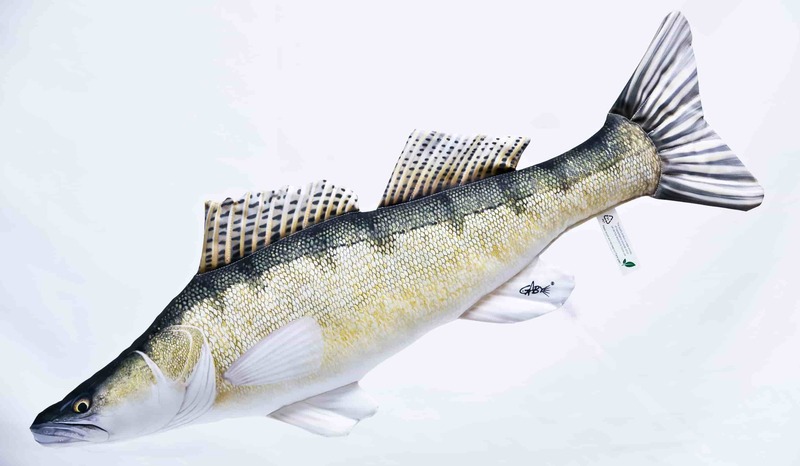 The Zander is very careful and cunning species of fish so that it became an icon of European fishing.